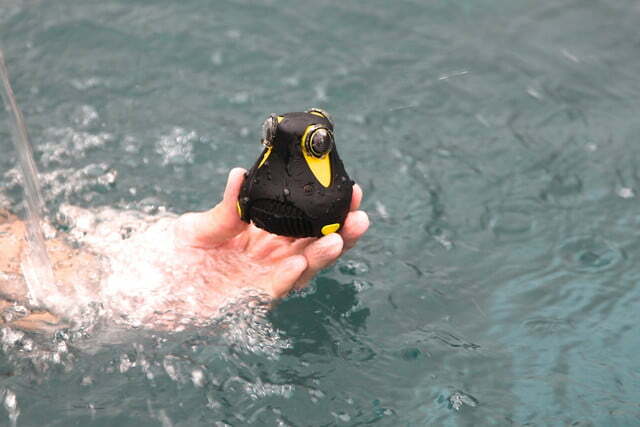 The 360cam is rugged without the need of an underwater housing. 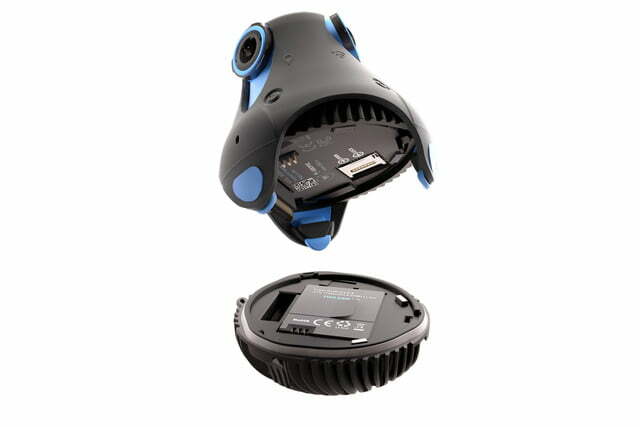 The 360cam consists of two parts: the main camera unit, and a detachable bottom, like the battery for portable use. 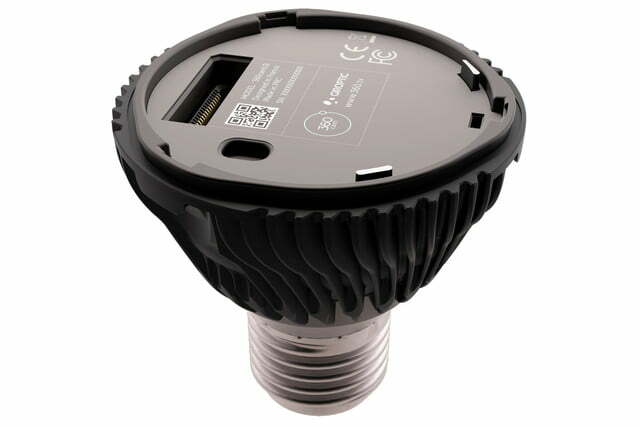 Another option is this one, which lets you plug into a ceiling light bulb socket for surveillance use. 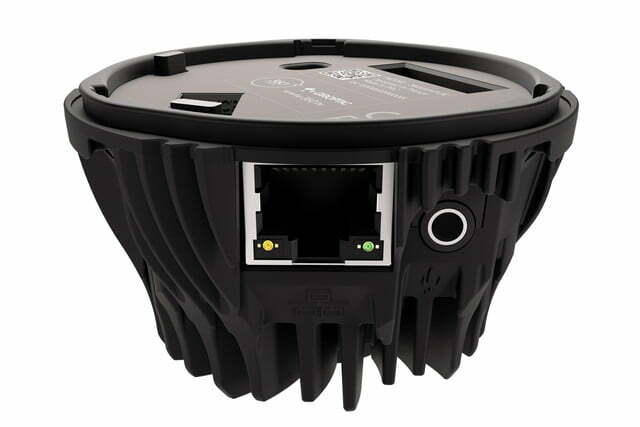 This unit has an Ethernet jack, designed for using the 360cam for high-bandwidth continuous streaming. 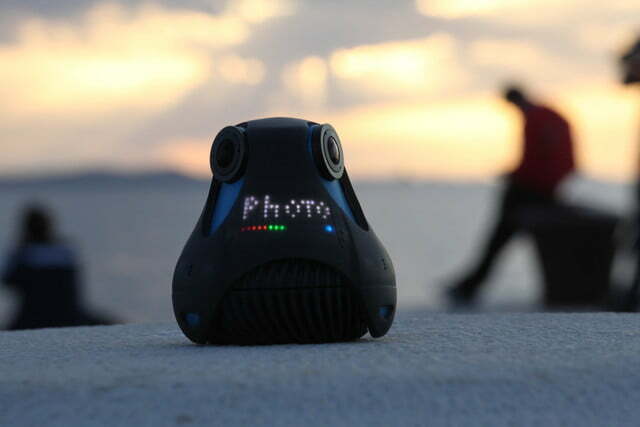 The 360cam, a 360-degree camera that had an incredibly successful Kickstarter campaign in 2014 (it earned $1.4 million from backers, off a pledge goal of $150,000), will begin shipping to early backers as well as those who pre-ordered. The camera will also go on sale on May 24. Which begs the question, particularly from those who’ve been waiting for the camera, what took so long? When we last spoke with Ollier, it seemed he had a nearly completed (or close to it) prototype in his hand. In fact, the prototype had looked nearly identical to the production unit. But like many Kickstarter projects, the Giroptic encountered unexpected problems that delayed shipment (it had an original delivery date of November 2014). 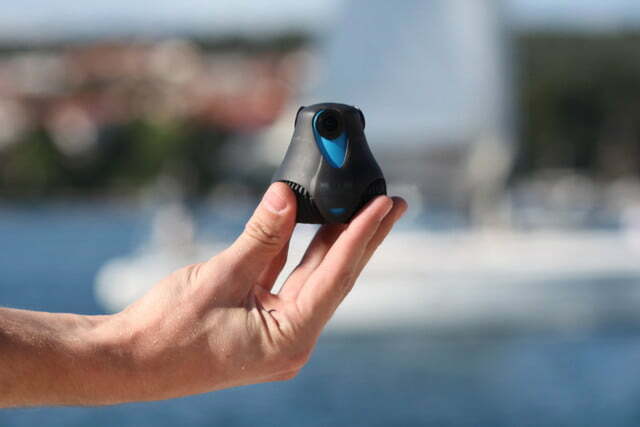 For example, in March 2015, Giroptic noticed color differences in the sensors in the development units it shipped out, which it needed to sort out before production started. Throughout the process, Giroptic had been transparent with backers, updating them on progress, while at the same time, it continued to improve the software. Ollier told us that he wanted both the Kickstarter and retail models to have the same functionalities, which is another reason for the delay. But, besides difficulties, there were design challenges too. 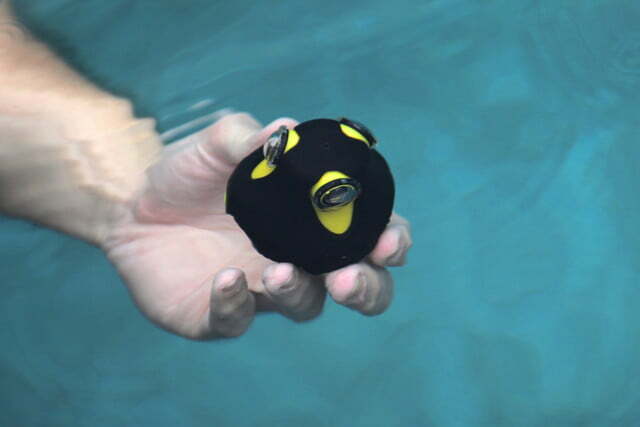 Since the unit has to be completely waterproof without a housing, Ollier said his team had to ensure the internals don’t become flooded – a difficult task as the camera has a detachable bottom unit that works with different accessories. Other issues include making sure any radiation that’s generated does not hinder the GPS performance; the resin used to protect the Wi-Fi antenna does not hamper transmission; battery life matches what it claimed; and the heatsink is able to keep things cool. 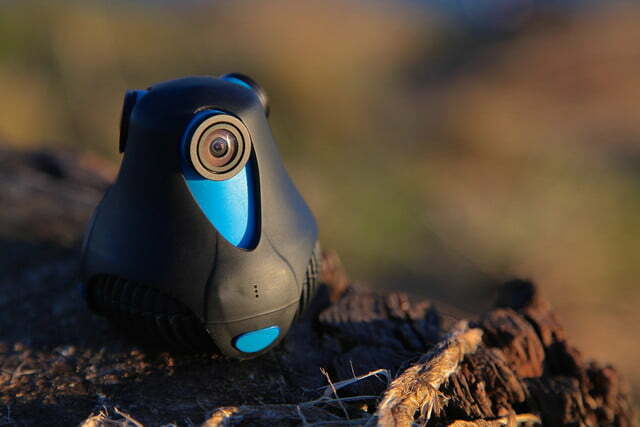 Compared with other consumer cameras, Ollier claims that the 360cam’s hardware and software are more sophisticated. 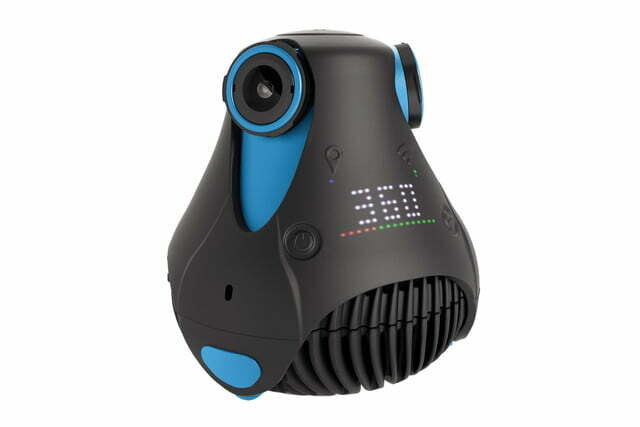 One example he points out is the camera’s ability to stitch the 360-degree images from the three sensors, in real-time; this lets the camera support 360-degree streaming services like YouTube, which Ollier says is compatible with the 360cam. 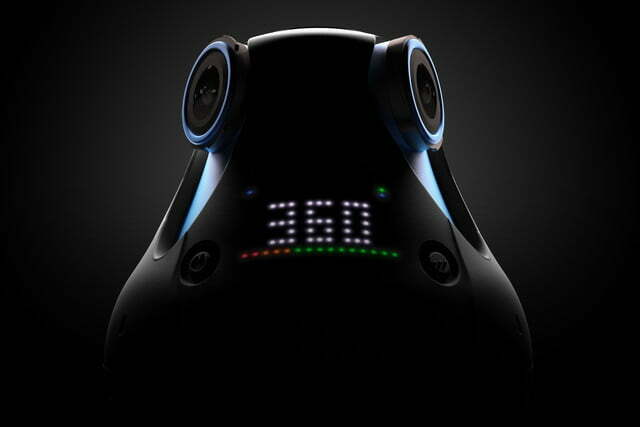 But the biggest thing to have happened during the 360cam’s production is the rise of virtual reality. Although content created with the 360cam could be viewed through VR headsets, it isn’t a VR solution. Although 360-degree cameras are driven by VR, Ollier says, today’s consumer cameras don’t have enough resolution and can’t create the parallax (depth) that’s needed for a true VR experience, among other limitations.